Requires Tek Generator power. Consumes Element Shards while firing. Has a variety of smart-targeting configuration options. The Tek Turret is a fully automatic turret which can automatically target and fire on enemy dinos, players, both, or all (which includes wild dinos) within its range, but does not target explosives such as Rocket Propelled Grenades, Grenades and Tek Grenades. The fact that the turret does not need any guidance makes it an invaluable resource to defend against raiding, whilst your tribe is offline. 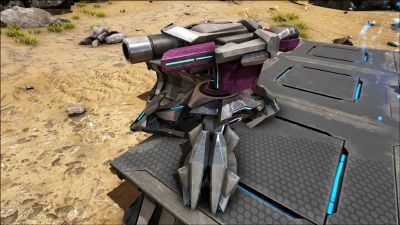 This turret uses Element Shard as ammo. 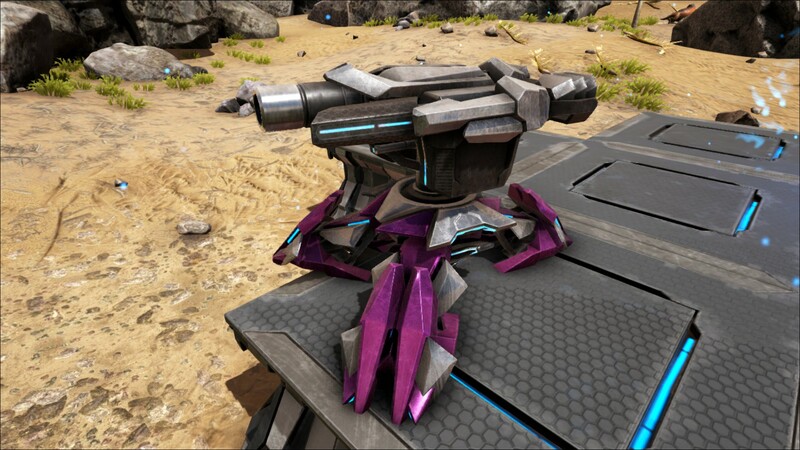 The Tek Turret requires electricity from a Tek Generator to run. 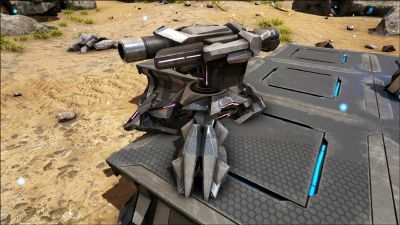 It is an upgraded version of the Auto Turret. 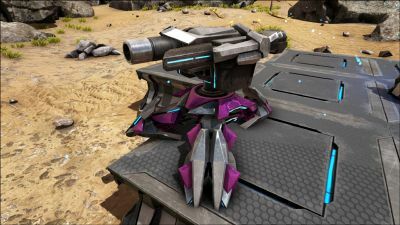 The Tek Engram will be unlocked by killing the Broodmother on hard difficulty. The Tek Saddles were patched to have a lower range to damage structures. 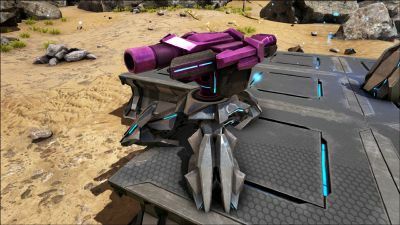 Previously all Tek Saddles could destroy Tek Turrets from a safe distance.